Welcome to the second edition of "Top 3 Favorite Things", a blog series where I share my top three favorite design-related items at a point in time. In case you missed it, you can click here for the last edition. 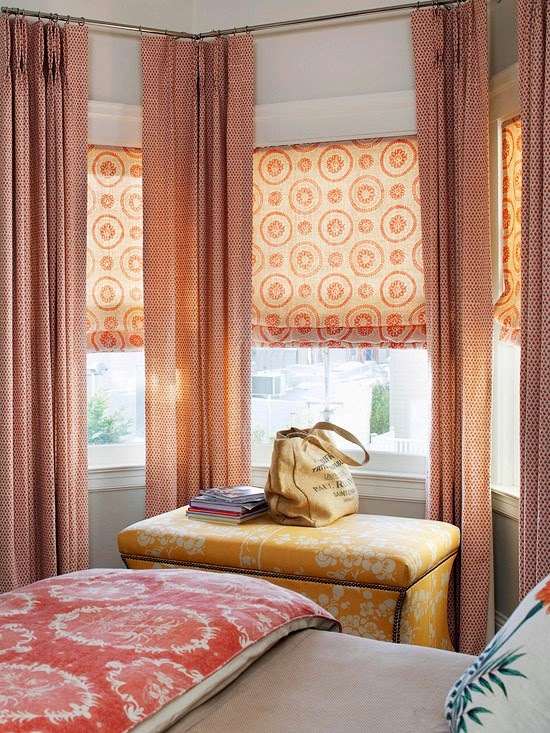 Window treatments are like fashion accessories. They add the finishing touches to complete a look. 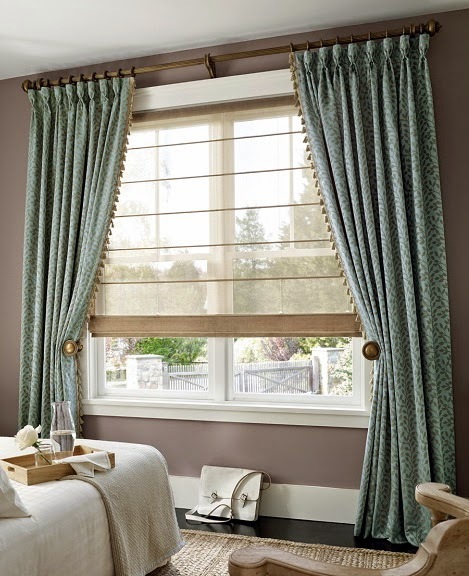 Window treatments are not only for aesthetics, but they are also practical. They can filter light, provide insulation, and give privacy as needed. 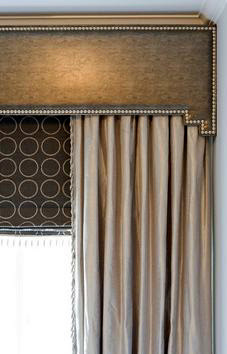 Like fashion, layering window treatments can give a room more texture, depth, dimension, and interest. Tips: For windows that are encased with beautiful molding, use inside-mounted shades or blinds so that the molding is still in view. If possible, hang window panels higher and wider than the window as well. 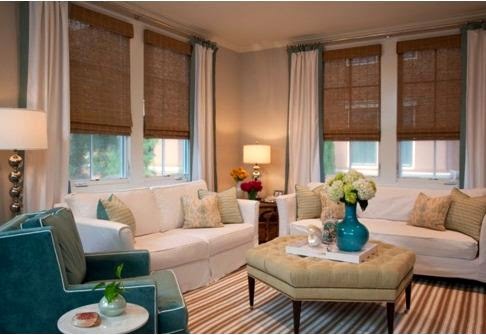 To add visual height, hang window treatments close to the ceiling. To visually connect different-sized windows within a space, treat them as one and hang curtains at the same height throughout. Always go with floor-length treatments if working with draperies, too! 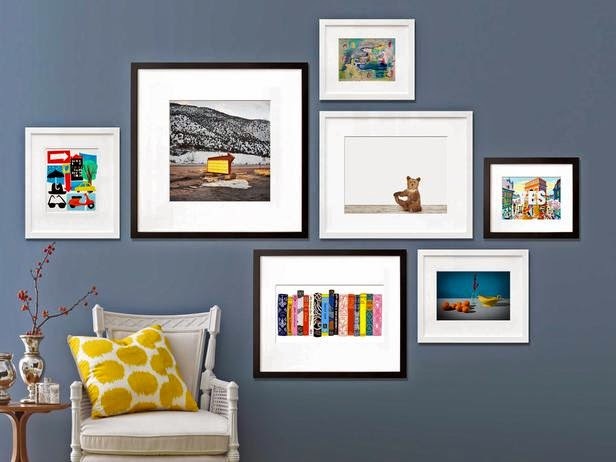 Gallery walls are a great way to add a focal point to any space. 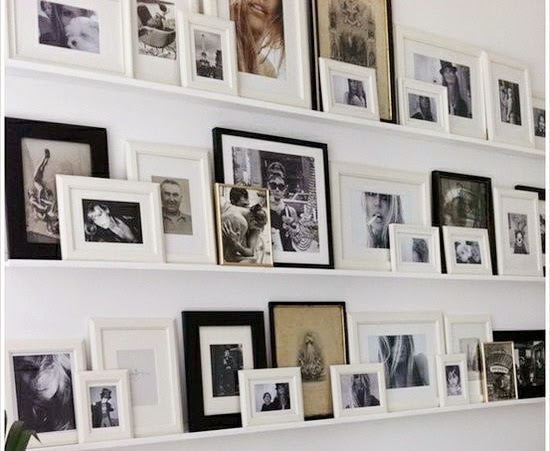 They are a wonderful tool for gathering and sharing favorite photos or art pieces. 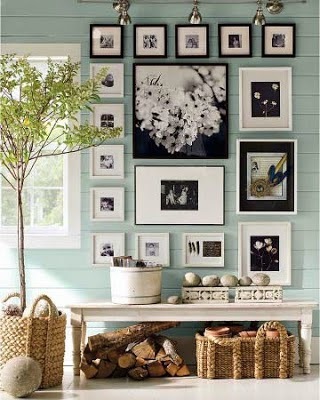 In short, groupings are a very effective way to organize visual objects and make a design statement. 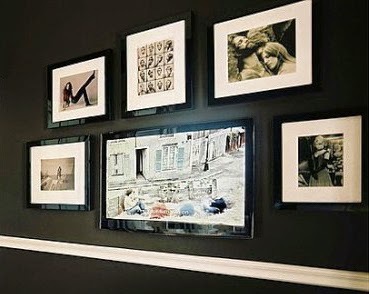 One of my favorite ways to decorate around a television is to incorporate it into a gallery wall. 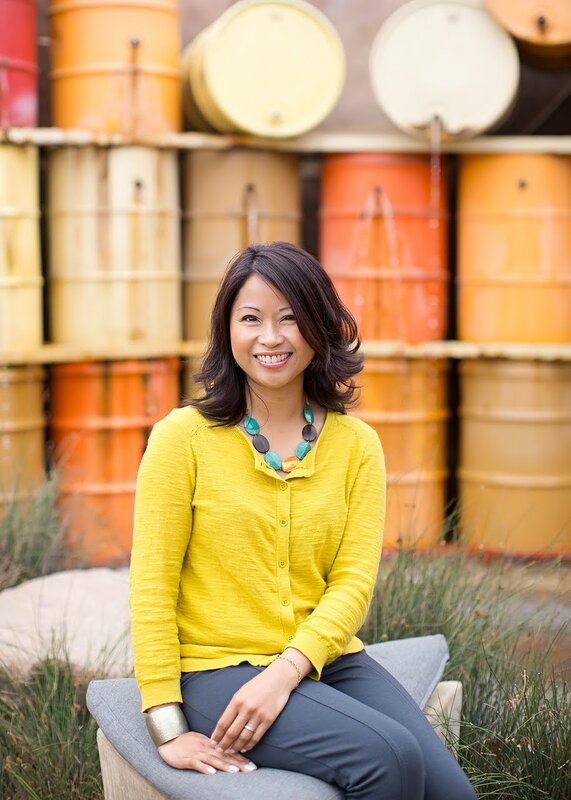 Tips: Asymmetrical arrangements are less formal and can be more easily added to over time. 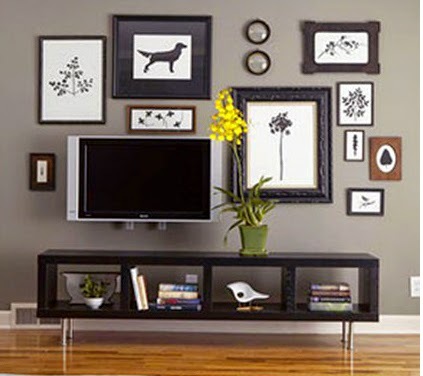 Balance and scale are key components to all wall groupings. 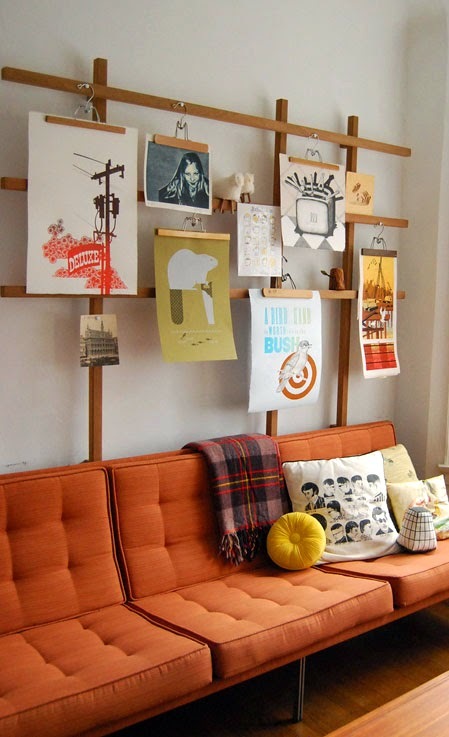 Use restraint to prevent a cluttered look. Sometimes less is more. The mention of wallpaper often gets a mixed reaction. 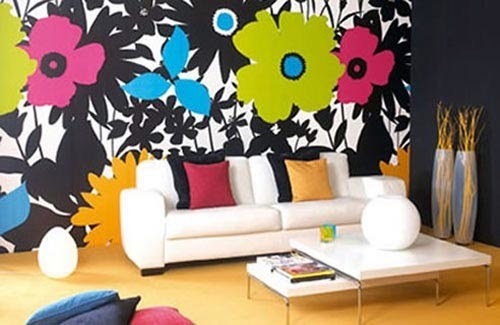 Some people can't seem to get beyond the image of dated floral wallpaper. 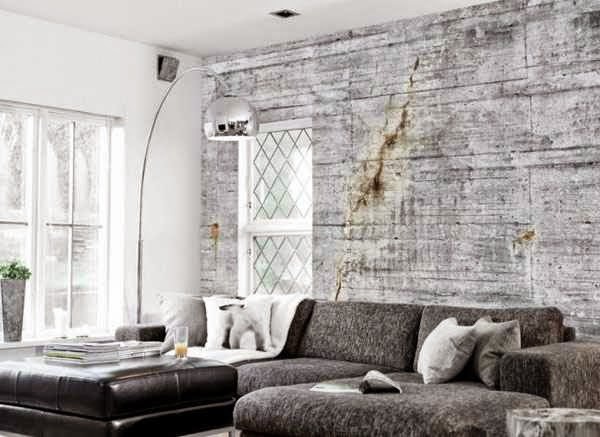 Admittedly, I am sometimes a bit hesitant to use wallpaper because it seems so "permanent". What if I don't like it after I install it?? As I previously wrote about, I found this product that helps solve the "permanency" issue. It's also perfect for more "finicky" users (like myself) who may want to change up a look more often than not! 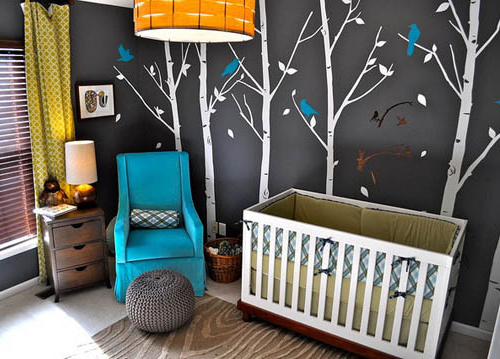 Emily Clark also featured this company for removable wall decals and vinyl wall art. What I'm loving about wallpaper these days is all the modern and graphic options to choose from. Wallpaper has come a long way! There are also various textures, like grasscloth or imitation bead board, available on the market. 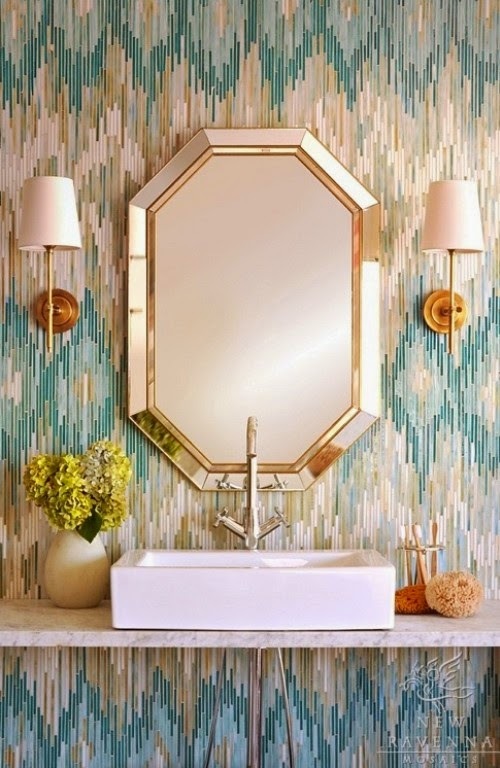 Make a design statement in a powder room by installing interesting wallpaper. 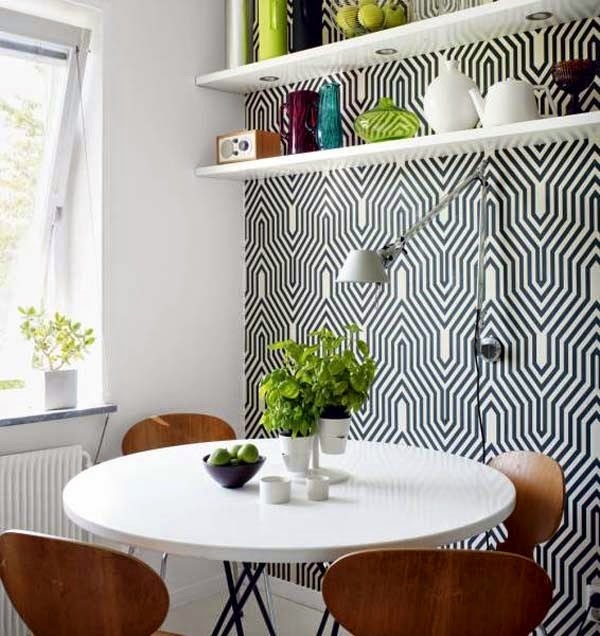 Create a focal point by papering just one wall. 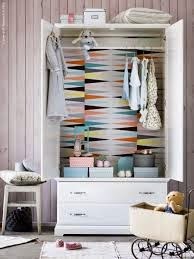 Dress up the back of closets or shelving units. 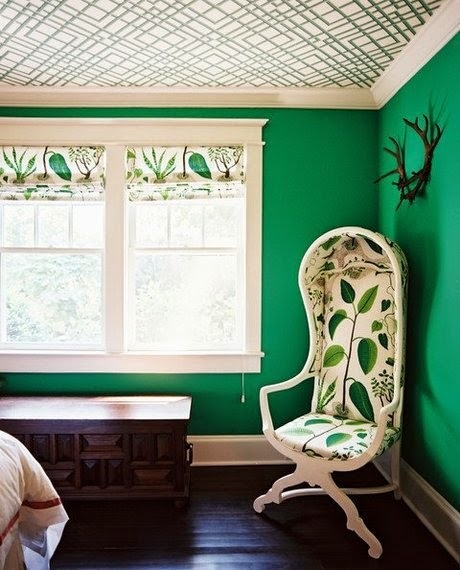 Install wallpaper on the ceiling to draw the eye up or to highlight architectural molding. Need art? 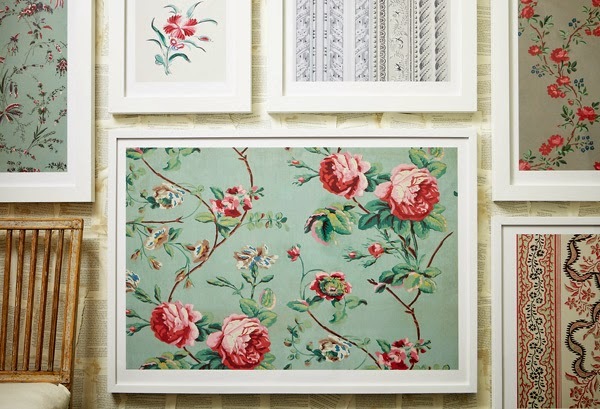 Frame a pretty wallpaper pattern! 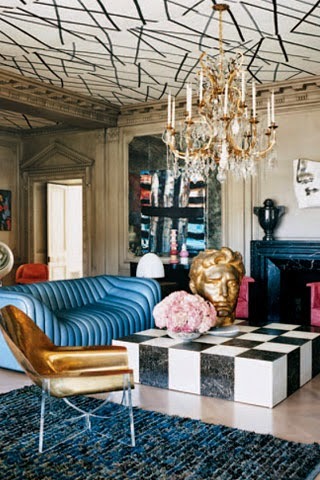 Hope you found some design and decorating inspiration today. Happy Monday!